Thank you to Irene’s for allowing me to sample their food and drinks at no charge. All opinions are my own. If you’re a drinking, smoking, or gambling woman (or man), you’ll feel right at home at Irene’s. The restaurant was named after partner Chad Gluckson’s grandmother, who describes the “real-life Southern charmer” as just that. Gluckson also told me his grandmother had “an immense heart and keen understanding of true hospitality.” That spirit is carried throughout the establishment, making it one of the most unpretentious places to get great food and cocktails. 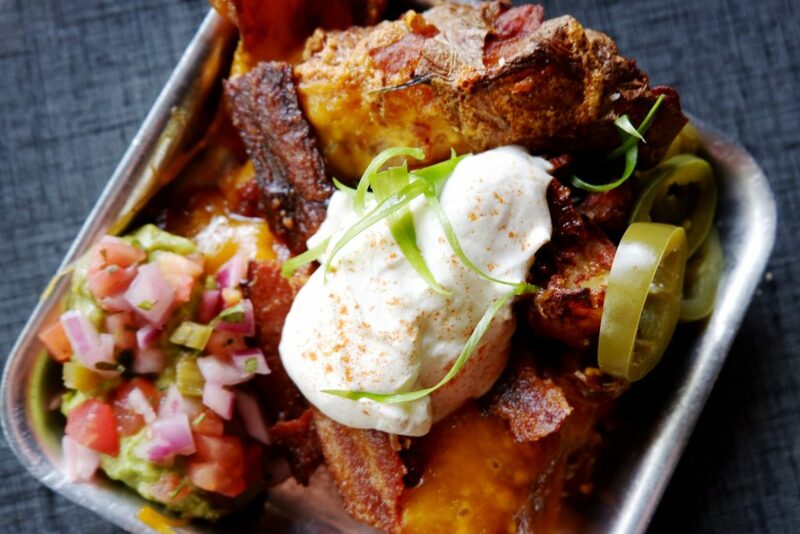 Executive Chef Andre Curren serves everything from grab-and-go breakfasts and pastries, to lunch and dinner entrees worth writing home…errr…Instagramming about. Think toasts, sandwiches, salads paired with soups, hearty snacks like chicken wings, spinach artichoke dip, and jalapeño poppers. You can even order a half chicken with your choice of sides if you so desire. 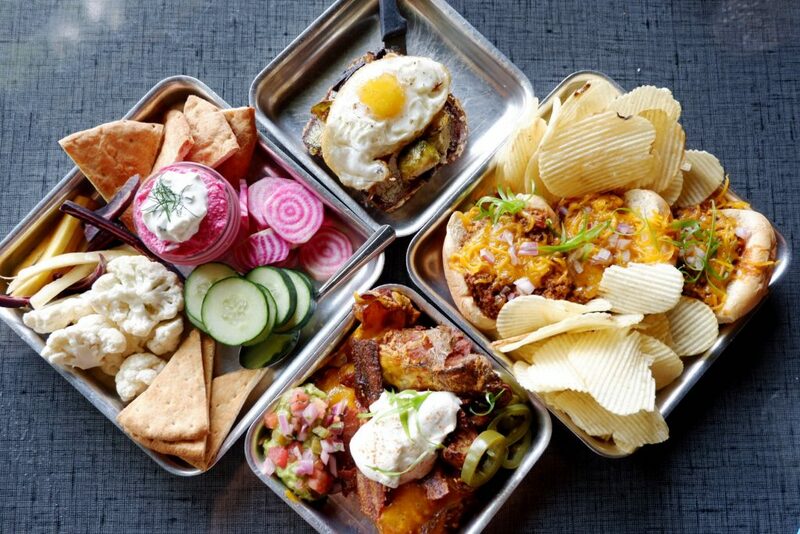 Recently, Chef Curren put some new items on the menu. Here are a few of the highlights. This appetizer is so beautiful (pictured above), you’ll almost feel guilty digging into it. That is, until your taste buds kick in and you taste its divine deliciousness. 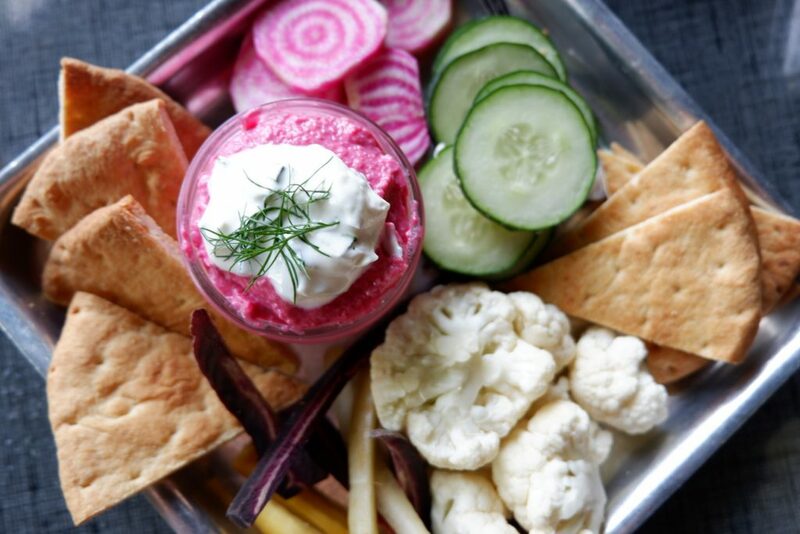 The brightly-hued pink hummus is made from a combination of beets, chickpeas, tahini, and spices accompanied by a spread of cucumbers, cauliflower, carrots, and pita bread. Classic nachos get an Irish spin with the substitution of spuds for tortilla chips. On top of the crispy potatoes, you ask? Cheddar, bacon, sour cream, and scallions! 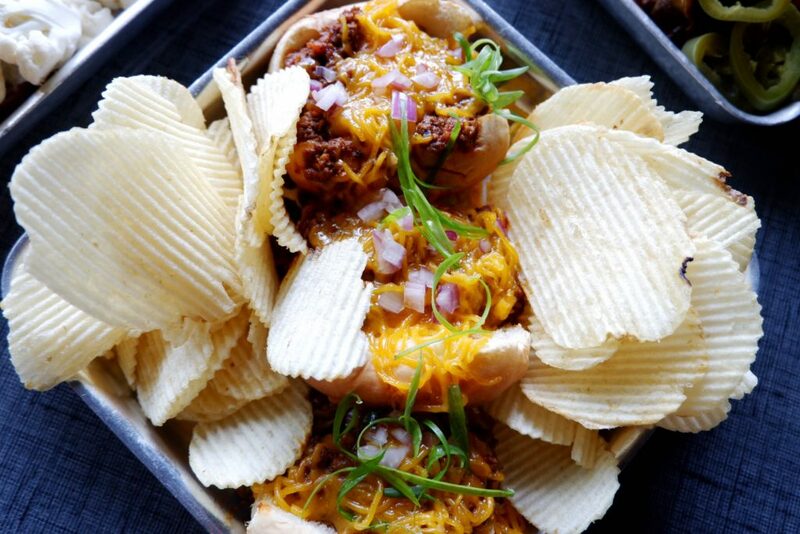 You can’t go wrong with hot dogs smothered in chili, cheddar cheese, and onions surrounded by ruffled potato chips. It’s the perfect stick-to-your-ribs meal. Is there anything more annoying than a $12 cocktail that tastes like mixer? Thankfully, that’s not an issue at Irene’s. Stiff drinks are the house specialty and come in the form of cocktails, whiskeys, punches, and margaritas. Irene’s also has beer and wine on the menu. Are you always the friend who arrives early? Order the ever-popular “Waiting on a Friend,” which is any tallboy of your choice with a shot of bourbon. Irene’s signature cocktail contains two parts vodka, a squeeze of lime, and a splash of cranberry (mostly for color). You can’t go wrong with this pure and simple drink. Two other notable cocktails on the menu include the Painkiller and the classic margarita. The Painkiller features rum, coconut, orange, and pineapple. Let your server know how much pain you’re dealing with on a scale of 1 to 3, and they’ll adjust the amount of rum in your drink accordingly. And move over Taco Tuesday because Tequila Tuesday is the latest and greatest way to spend the second day of the work week. What’s on Irene’s menu for the occasion? 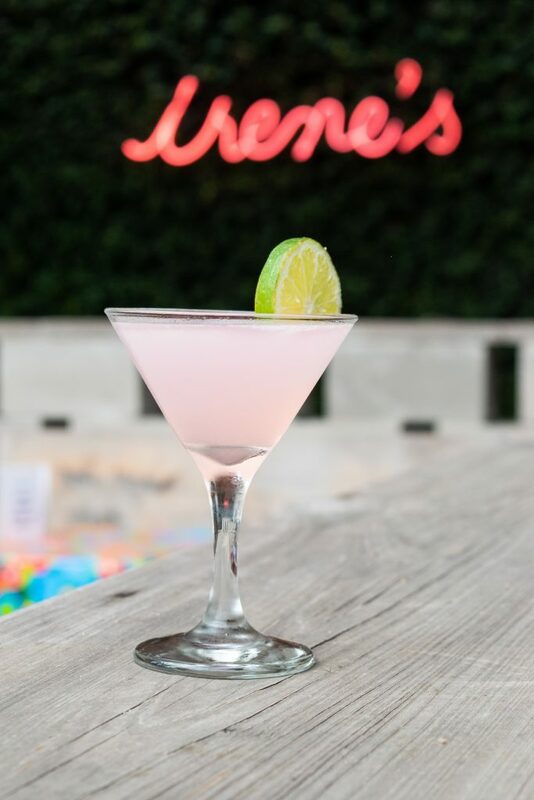 Tequila shots and margaritas (on rocks or frozen) for $4, and $6 tequila punch. Yes, you read those prices correctly! Before you go, don’t forget dessert! Irene’s has a mean pastry program and everything on the menu is worth the calories a hundred percent. Executive Pastry Chef Mary Catherine Curren (wife to Chef Andrew Curren) is whipping up sweet treats with balanced flavors and farm fresh ingredients. Although that may sound fancy, she doesn’t fuss with foams or exotic garnishes. At Irene’s, you’ll simply get a homemade indulgent treat. 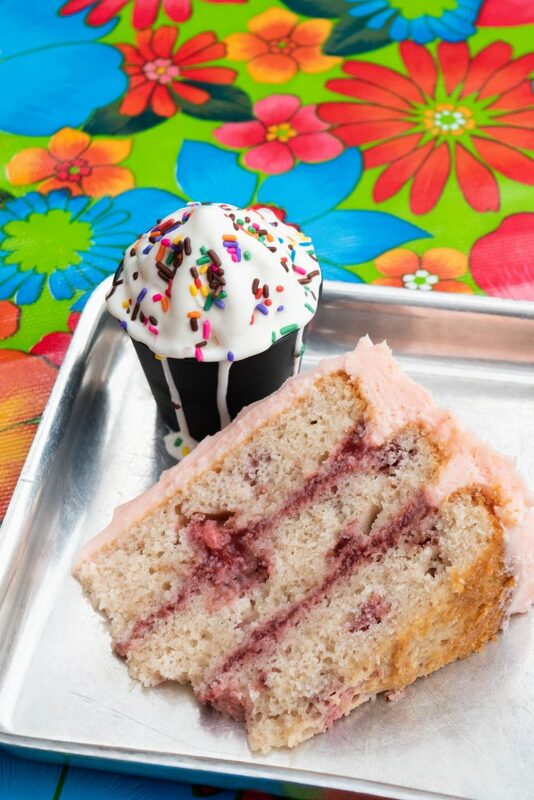 Don’t miss Chef Mary Catherine’s famous strawberry cake made with cream cheese frosting and layers of strawberry jam. 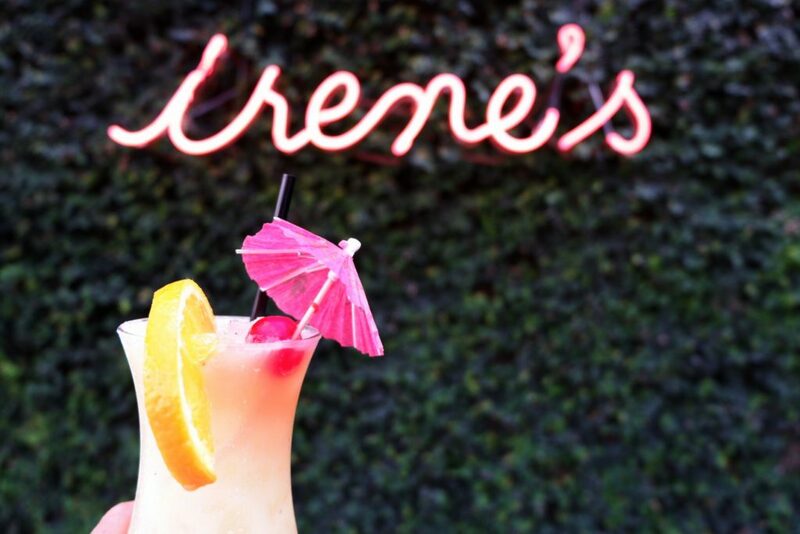 Whether you’re looking for a great lunch, brunch, or patio hangout to sip boozy drinks, Irene’s is a fantastic choice. 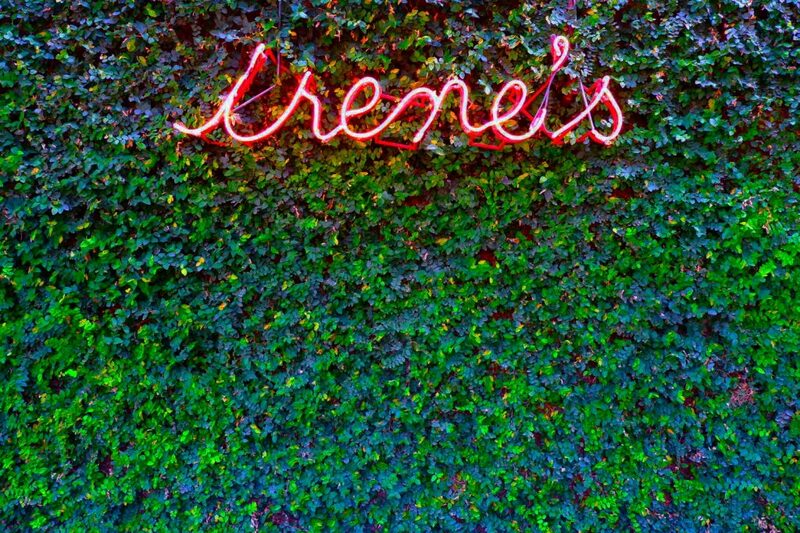 And after dining, don’t miss snapping a photo in front of the glowing pink neon sign that’s tucked into an ivy wall. After all, it’s one of Austin’s most Instagrammed places. 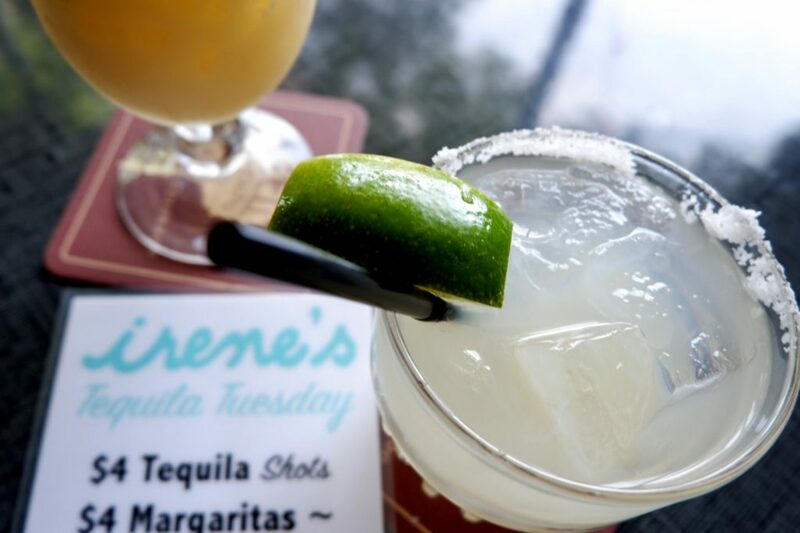 Have you been to Irene’s yet?